The Blue Bomber Spin-off Returns! Megaman X took the Megaman formula and improved upon it in every conceivable way, but does Megaman X2 continue to provide the excellent gameplay introduced in the first Meganan X game? Let's find out! A few months after the events of the first game the Maverick problem hasn't gotten better, so it's up to Maverick Hunter X to defeat the Maverick's and save the world! The story in Megaman X2 takes a back seat in favor of platforming and the result is kind of a mixed bag. The story is certainly weaker, but the gameplay is improved with new vehicles to ride, more collectables, and even three hidden bosses to beat that affect the ending if you defeat all of them! The Maverick bosses are even tougher to beat this time around, but this does add some stategy to the games that should please diehard retro game fans! The platforming is much more difficult this time with some segments being a bit too hard, but the enemies have been reduced in number from the first game giving the game less action in favor of platforming. I was surprised when I first started playing this game, but the graphics in Megaman are no better than those in the first title. In fact the details in the level backgrounds aren't as good looking as they were in the original Megaman X game and the level designs have a more basic feel to them, but overall the graphics are still above average. The soundtrack in Megaman X2 is good, but fails to live up to the standards set in the first game, however Capcom did lose four of the five music composers that worked on the first Megaman X when this game was under development. The sound effects are varied and add to the game. With less story and action than Megaman X the game might not please all fans, but the platforming, difficult bosses that require strategy to defeat, as well as the secret bosses the game certainly is fun and has some depth. 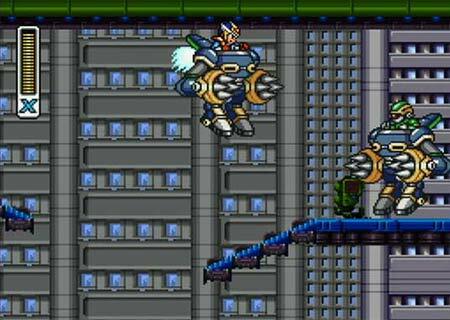 Ultimately Megaman X2 is a great game, but fails to live up to the original Megaman X title. I prefer this game over the first. I thought X2 was better as well. Two reviews in a row ?! you're on a roll Rukiafan ! By the way, I've replaced the last image because the original image was from Megaman ZX Advent and not Megaman X2 ! Two reviews in less than 24 hours nice! I agree the first Megaman X game was better. Megaman X is an awesome series! X2 was my least favorite game in the Mega Man X spin off series. ^ Are you the same SonicKnuckles who used to visit NintendoLife a couple of years back? I believe Bobby Carrot Forever was the topic we were discussing. Anyways, it's good to see more of our members coming back.